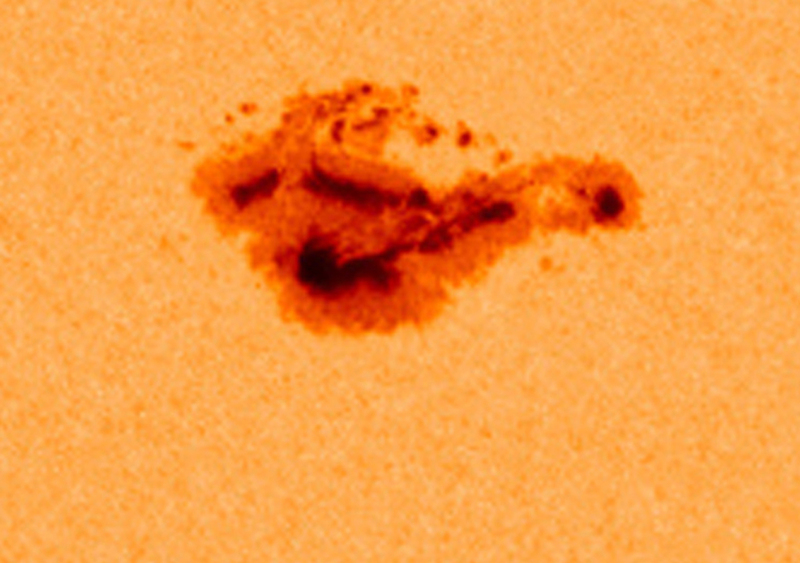 One of the largest sunspots in the last nine years, labeled AR1944, was seen in early January 2014, as captured by NASA's Solar Dynamics Observatory. An image of Earth has been added for scale. Two of the largest sunspots in the last nine years: the one on the left is from Jan. 17, 2005, captured by ESA/NASA's Solar Heliospheric Observatory; the one on the right is from Jan. 7, 2014, captured by NASA's Solar Dynamics Observatory. A giant sunspot group sits at the center of the sun on Jan. 7, 2013 as seen by SDO's Helioseismic and Magnetic Imager instrument.